A scene from the filming of the commercial. 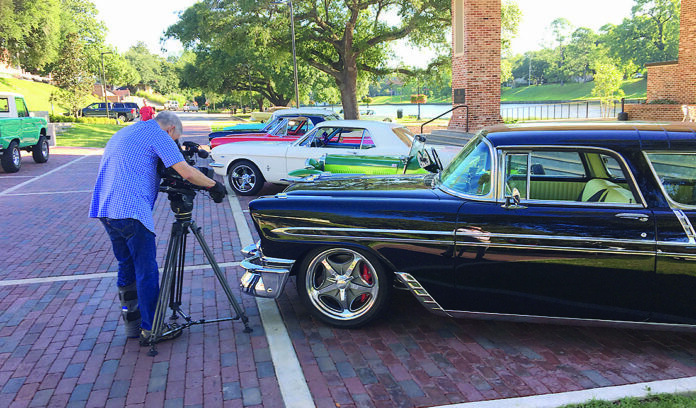 The Natchitoches Car Show is slated for Sept. 29 and this commercial has just been released. The two tone green J2 MG in the video is owned and driven by Natchitoches Times publisher Lovan Thomas. The car began as a few parts, a tub frame and some supporting parts, and over the course of 10 years of painstaking restoration work, including manufacturing the firewall and other parts by hand, and hand piecing the interior, the final result is the car seen in the video.